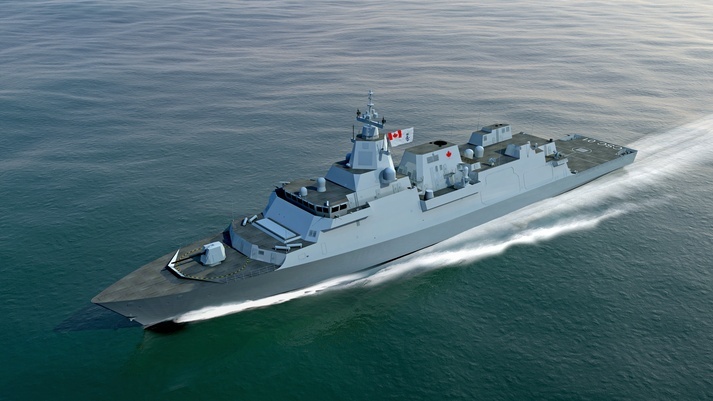 A Lockheed Martin-led industry team was selected for the final design of the Royal Canadian Navy’s future frigate after surviving a legal challenge by a rival contender. Officials in Ottawa confirmed that BAE Systems’ Type 26 Global Combat Ship will provide the template for the Canadian Surface Combatant (CSC), the workhorse of the RCN fleet through the 2030s and 2040s. Prime contractor Irving Shipbuilding – which was selected as Canada’s combat ship constructor some years ago – is expected to cut steel for the first of 15 planned warships at its yard in Halifax, Nova Scotia, in the early 2020s. The Lockheed Martin/BAE Systems team was chosen as preferred bidder for the ship design in October 2018, beating rivals Alion Science and Technology (which offered a version of the Dutch navy’s De Zeven Provinciën-class frigate) and Navantia (Spain’s F-105 frigate). However, critics accused procurement chiefs of setting conditions to favor the unproven British “paper ship”; earlier statements had suggested that only vessel designs that were already in service would be considered. In November, Alion asked Canada’s Federal Court to block the decision on the grounds that the Type 26 failed to meet RCN speed and other requirements. This led to an investigation by the Canadian International Trade Tribunal, which dismissed Alion’s case on Jan. 30. On Feb. 8, the government confirmed its original decision and announced the award of an initial $140 million contract to Irving Shipbuilding to customize the Type 26 design. Irving immediately awarded a sub-contract to Lockheed Martin Canada to carry out this work, which is likely to take three to four years. Irving intends to complete the last of six Arctic and Offshore Patrol Ships — the Harry DeWolf-class — before starting construction of the CSC lead ship. The CSC program aims to replace 12 recently-modernized Halifax-class frigates and three already-retired Iroquois-class destroyers. With an estimated total budget of up to $45 nbillion, it is the largest and most complex procurement exercise ever undertaken by the Canadian government. Lockheed Martin’s CMS 330 combat management system lies at the heart of the new ship. In addition to BAE Systems, the winning team also includes CAE (training solutions); L3 Technologies (platform management, communications, weapons storage and torpedo handling systems, electro-optical/infrared sensors, and hangar doors); and Ultra Electronics (hull-mounted and towed low-frequency active sonar systems). MDA will oversee the design and integration of the electronic warfare suite – including a laser warning and countermeasures system to guard against emerging laser-guided threats – and what the company describes as an “advanced radar system critical to the integrated CSC weapons system”. Meanwhile, Britain’s Ministry of Defence is procuring eight Type 26 frigates for the Royal Navy (City-class) while Australia is acquiring nine hulls under its SEA 5000 program (Hunter-class). Measuring 492ft from bow to stern and displacing over 8,000 tons (full load), the baseline design features advanced anti-submarine warfare capabilities, a 24-cell Mk 41 vertical launch system for Tomahawk cruise missiles and other long-range strike weapons, a 48-cell silo for Sea Ceptor air defense missiles and a 5-inch gun. The flight deck can operate CH-47 Chinook-sized helicopters.